Her work has appeared several different publications and magazines and she also makes illustrations for her own shop catalogue. You can check out more of her work at her website or her instagram. I think the internet is an undeniable tool for artists, full of visual inspiration (paintings, photos, color combinations...) However, I really think that all this information should be used to help us supplement what already comes from within, the most important and unique aspect of your work. It is the only way to keep your own identity. I think inspiration comes from everywhere. I sometimes find inspiration from real life (I live in such a beautiful place!) but other times from magazines, photos....Even the work of other artists that I admire has inspired me in order to try different painting mediums or techniques. 3. 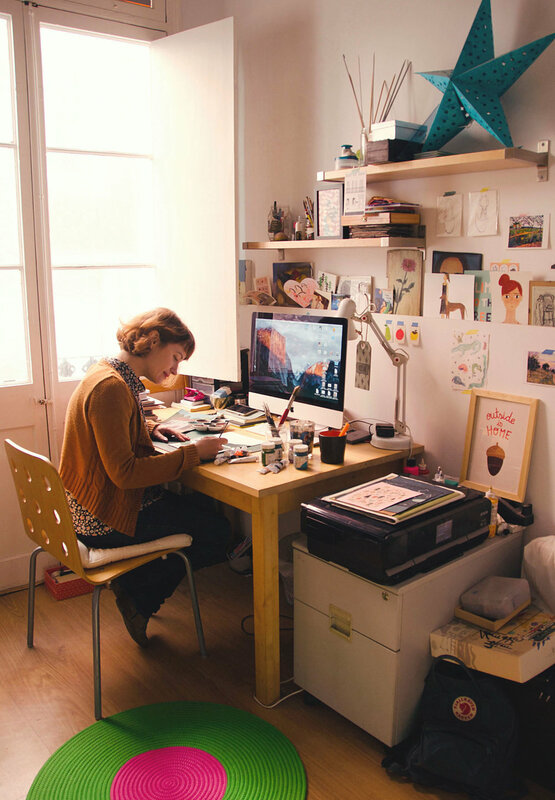 Do you have any advice for aspiring artists or creative business people? 4. Do you have any favourite blogs, artists, or Instagram accounts that you’d like to share? All images provided by artist.